My team and I look forward to having you as our guest at Banyan Tree Kuala Lumpur. Set amidst the heart of Kuala Lumpur's Golden Triangle, Banyan Tree Kuala Lumpur offers 55 rooms and suites with a contemporary flair. Most of the guestrooms overlook the iconic Petronas Twin Towers and Kuala Lumpur Tower and each designed to bring comfort to those seeking a true Sanctuary for the Senses. Be awed by the panoramic view of the city skyline from Vertigo, the rooftop bar and Horizon Grill, the exquisite steakhouse, or be pampered at the award-winning Banyan Tree Spa. Banyan Tree Kuala Lumpur features 55 exquisite rooms and suites, ranging from 51 m² to 200 m² in size, with a contemporary flair. 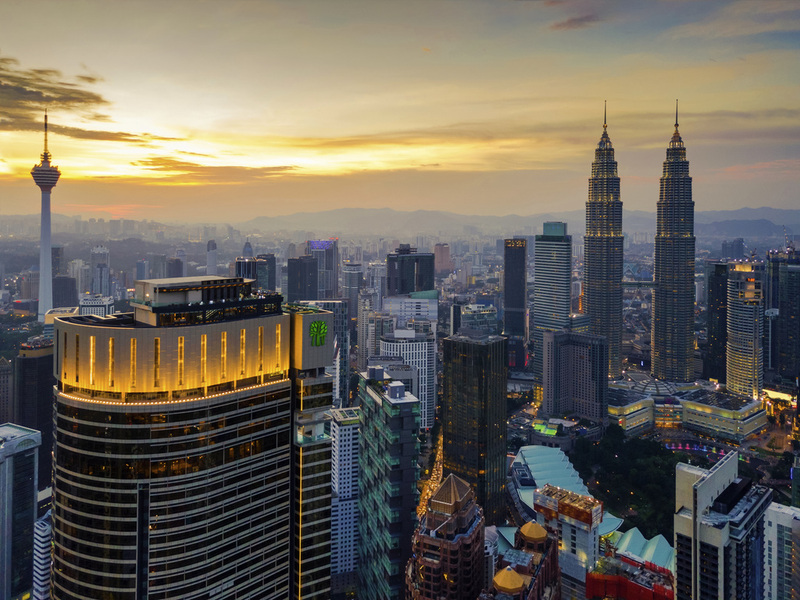 Most of the rooms and suites overlook the iconic Petronas Twin Towers and Kuala Lumpur Tower. Located at the lobby, Bake By Banyan tree offers a range of fine patisserie and artisan breads .It is the ideal place to savour a quiet bite and enjoy specialty beverages. Located on Level 53, Altitude offers a serene setting for morning coffee,light lunch,exquisite afternoon tea and sommelier's handpicked wines and craft beer's,paired perfectly with a curated casual menu for a wonderful evening. Horizon Grill offers both indoor and al fresco dining atop a roof terrace on the 58th floor overlooking the cityscape of Kuala Lumpur. From hearty à la carte breakfasts, executive lunches to gourmet dinner menu with fresh seafood and premium steaks. Vertigo offers a stylish rooftop bar experience with panoramic city skyline view on the 59th floor. Mixologists are on hand to create personalised drinks, while the South East Asian inspired tapas and DJ music helps create an unforgettable night out.